IGEF is an international association of scientists, physicians, engineers, technicians and experts concerned with the research of the causes and impacts of electric smog on humans, animals, nature and the environment to protect against electric smog. The quest for solutions extends to recognizing the basic laws of Creation outside the boundaries of shortsighted reasoning. 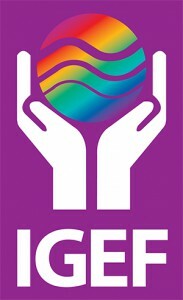 IGEF is commercially, religiously and politically independent. IGEF is supported by an interdisciplinary scientific advisory council, allowing a holistic view.